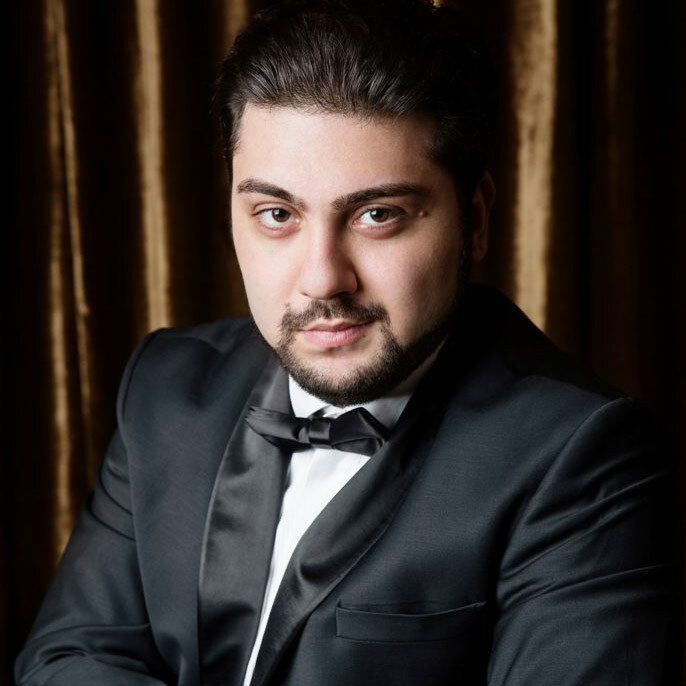 After making his European stage debut as Fenton in the new production of Falstaff at the Cologne Opera in October of 2016, Armenian tenor Liparit Avetisyan has been invited to make several other important debuts in the current season: Rodolfo in La Boheme with the Frankfurt Opera and Alfredo in La Traviata with Opera Australia in Sydney. In the 2017⁄18 season, Avetisyan will sing Alfredo at the Hamburg State Opera, Berlin State Opera and Semperoper Dresden, and appear as Rodolfo at the Deutsche Oper Berlin. He will also make his French stage debut as Lensky in Eugene Onegin at the Opera du Rhin in Strasbourg and adds the role of Nemorino in L’Elisir d’Amore to his repertoire in Dresden. Born in Yerevan in 1990, Liparit Avetisyan moved to Crimea with his parents, where he graduated from music school. From 2008 to 2011, Avetisyan studied with B. Kudryavtsev at the Tchaikovsky Moscow State Conservatory, later transferring to the Komitas State Conservatory of Yerevan to study with R. Hakobyants. During his studies, Avetisyan won Second Prize in both the Maria Biesu International Singing Competition and the III Muslim Magomaev International Vocalists Contest. At the Armenian National Academic Opera, he has sung Alfredo, Don Jose, and the old Gypsy in Aleko. Avetisyan sang his first performances of Rodolfo, the Duke in Rigoletto, and the Verdi and Mozart Requiems with the Armenian National Philharmonic Orchestra. Avetisyan has collaborated with such conductors as Constantin Orbelian, Anton Orlov, Vahan Martirosyan, Lior Shambadal, Juozas Domarkas, Michael Guettler, Vladimir Jurovsky, and many others.